Individual retirement accounts refers to umbrella accounts that you can deposit money in to take advantage of tax benefits for your retirement savings. However, you still have to decide how you want to invest your money. Depending on the investment options you pick, you could lose money if the investments do poorly. However, some higher risk options also offer higher rates of return. You can choose to invest your IRA in accounts that are covered by FDIC insurance, which means that even if the bank goes out of business, your money -- at least up to the FDIC insurance limits -- remains safe. 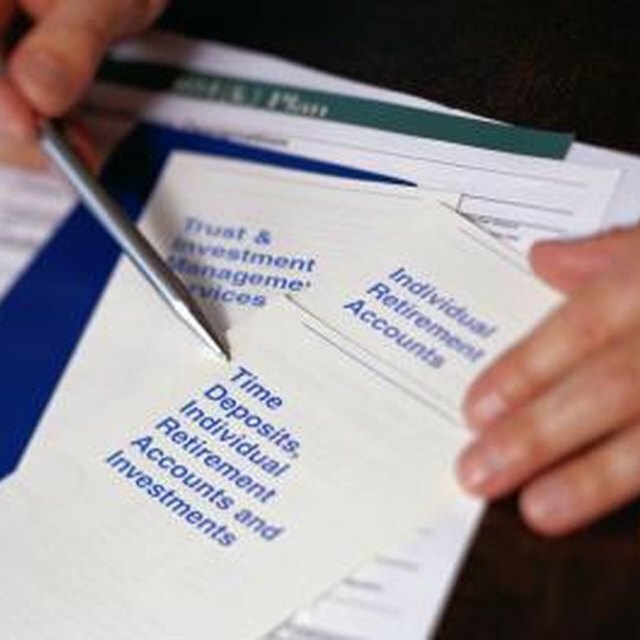 These include savings accounts, money market accounts and certificates of deposit. For example, according to the Federal Deposit Insurance Corporation, the first $250,000 you have in an IRA in these types of accounts at each separate bank are covered. If you have $200,000 in an IRA CD at Bank A and $150,000 in a money market account at Bank B, the entire amount is protected. Even though a savings account at an FDIC-insured bank might prevent you from losing money, it likely won't earn you enough interest to keep pace with inflation, which means your purchasing power actually is declining. For example, say inflation is 3 percent and your savings account pays 2 percent. After one year, $1,000 becomes $1,020 dollars, so you're technically richer. However, the goods you could have bought for $1,000 one year ago now cost $1,030, so your purchasing power has decreased. Other investments, such as stocks, bonds and mutual funds, aren't guaranteed to perform well or even protect against losing your money. According to NPR, from the peak of the stock market before the 2008 crash to hitting bottom, the value of IRAs and 401(k)s combined declined by over $2 trillion. However, these investments typically come with higher rates of return. Diversifying your investments in your IRAs can help balance the increased risk of equities like stocks or bonds and the risk of inflation posed by using ultra-secure accounts, like CDs or savings accounts.